Provide the information and receive the State Specific Name Change Package that meets your situation. Select from Adult Name Change, Minor Name Change, or Family Name Change packages. Note: Name Change packages are not offered for the state of Arkansas and Delaware. Note: Family Name Change packages are not offered for the state of District of Columbia, Maine, Nebraska, New Jersey, Oregon and South Carolina. 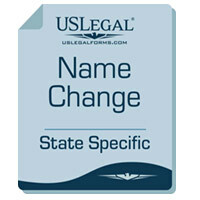 Adult and/or Minor Name Change packages must be selected for these states. This package includes forms and instructions for notifying government agencies (and others) of a name change. Forms and instructions for Passport, Social Security Card, Voter Registration, Employer, Banks and other Financial Institutions, Clubs and Organizations, Drivers License, Post Office, Insurance Companies, IRS, State Tax Commission, etc. It also contains forms for changing contracts, wills and other legal documents. Provide the information and receive the State Specific Name Change Package that meets your situation. Select from Adult Name Change, Minor Name Change, or Family Name Change packages. Note: Name Change packages are not offered for the state of Arkansas and Delaware. Note: Family Name Change packages are not offered for the state of District of Columbia, Maine, Nebraska, New Jersey, Oregon and South Carolina. 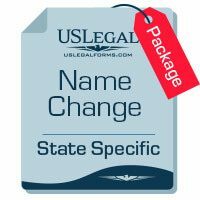 Adult and/or Minor Name Change packages must be selected for these states.